Art and Artists - Are You an Artist? I finally realize I am! 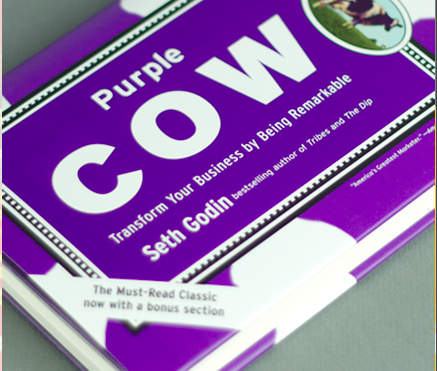 I just finished reading Linchpin by Seth Godin this morning. I started by rereading his earlier work Tribes in September when Karen Proctor, my co-teacher at School of Visual Arts in our joint entrepreneurship and collaborative leadership class for MFA students in Design for Social Innovation, assigned it as a leadership text. Rereading Tribes became the starting point for a somewhat random sequence of readings of three of Seth's other books. It continued with sections of Purple Cow, a book that preceded Tribes, which was then followed by his most recent book, The Icarus Deception, and finally Linchpin, the last two both read in their entirety. 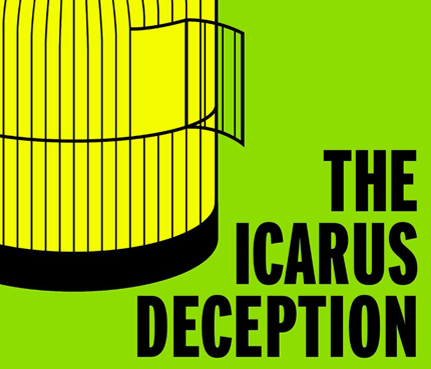 Seth has an extraordinary body of writing that has led up to The Icarus Deception where he focuses in tightly on the process of making / doing "art" very broadly defined. Going back to Linchpin after The Icarus Deception one of Seth's final questions was, what art do I want to do, what gift(s) can I offer to others? More on that in a minute. I had a scare in March when I spent a night in the hospital. I was lucky - I had a lot going on getting ready to run the Lean Launch Ventures accelerator. The pressures of that effort coupled with a few other things caused me to work myself into what turned out to be a bout of self-induced chest pains. However, the incident scared me enough that I decided to undergo a round of deeper diagnostics which turned out to be a blessing. Those tests forced me reflect and finally make some deep commitments as to how I will care for myself, watching both what I eat and how often I exercise as well as how to manage my professional life more effectively. I started by upgrading my commitment to my diet, moving from 4+ years as a vegetarian (no flesh of animals of any kind) to a pure vegan eating plan. I had been exercising regularly before my hospital visit but since March I have upped my commitment by exercising no less than 5 days a week, mostly 6 or 7 days a week at least 35-45 min / day at my target heart rate. My body really needs that, telling me regularly that it doesn't want to go back to me making excuses for skipping a day here and there. It is my commitment on how to manage my professional life that has taken longer to figure out. In 2009 I began a journey to promote innovation in the state of CT. In 2012 my early efforts finally helped to catalyze both an innovation space in Stamford and as well as an entrepreneurial ecosystem across the state that launched in October 2012. My Lean Launch Ventures pilot (fall 2012) and accelerator (spring 2013) seemingly brought close to 4 years of work to fruition planting important seeds for the next few years for Lean Launch Ventures. However, the political winds in CT changed direction late this summer and the possibilities to continue to be an integral part of the efforts in CT via Lean Launch Ventures came to an abrupt end. Serendipitously it was almost at that moment that the opportunity to teach entrepreneurship at School of Visual Arts came to me. Back to Seth’s question, what art do I want to do, what gift(s) can I offer to others? I had never thought of myself as an “artist" before reading The Icarus Deception and Linchpin. Teaching at the School of Visual Arts has made me feel like I am closer to art and artists both, but until recently I still wouldn’t have described myself as an artist. However, Seth’s gift to me in his writings was to make me realize that I am an artist - my art is teaching and doing entrepreneurship. However, in Linchpin Seth challenged me further, not just to doing my “art” of teaching and doing entrepreneurship, but to up my game, in Seth's words to "ship” more often, find a way to share my art more broadly, more regularly. Starting in early 2012 I first experimented with growing a web-based following using, the now defunct tool, Bo.lt to curate content on entrepreneurship, technology, social media and a handful of other subjects that I care about. My Bo.lts were tweeted, posted on Facebook, LinkedIn, Pinterest and Tumblr and surprisingly generated over 50,000 reads which Bo.lt allowed me to measure. When Bo.lt pulled the plug earlier this year for some reason I didn’t look for a new technological solution I just stopped my curation efforts. Based on Seth’s inspiration coupled with a recent dose of inspiration from Alexis Ohanian’s book Without Their Permission, I am committing to "ship" regularly. I don't have a map for the journey but am anxious to keep moving. My goal is to write and publish my own thoughts here 5, preferably 6 or 7, days a week while restarting curation of my readings on entrepreneurship, technology and social media. Who knows, there may be another startup in my future and this may be the Minimum Viable Product (MVP). I welcome feedback.